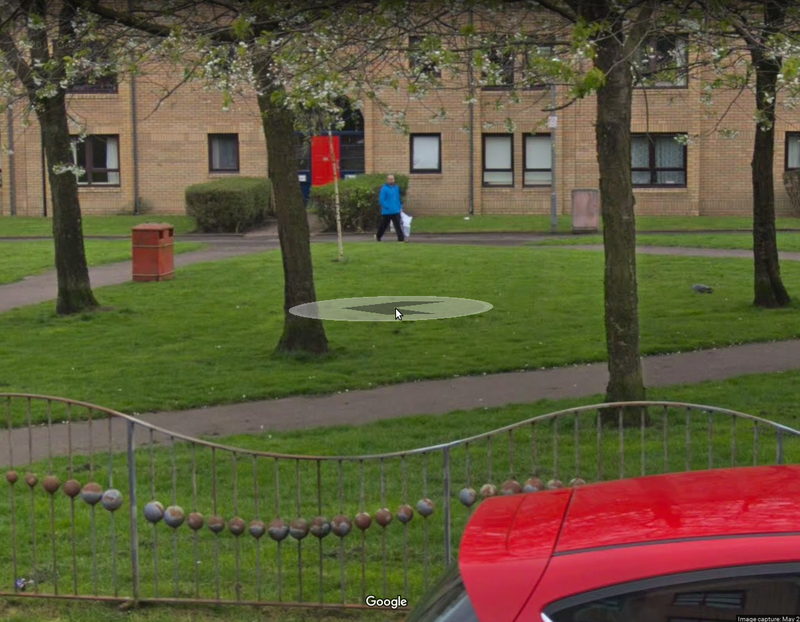 This is me captured on Google streetview earlier this year at my old address in Glasgow. This is a post to help me remember how to do this as I will probably forget by the time I need to do this again. I have a NAS (Buffalo 2TB) on which I keep my music, movies and other media ripped from CD, DVD or bought online** so as to be able to access it from which ever of the 3 computers (Desktop, Laptop and Raspberry Pi) in the house I am using. The issue I was having is that Plex doesn't work with the share on the NAS directly, on Windows it is fairly easy to fix you just map the drive to folder(s) required, for instance on my Windows install I have the movies(films) mapped to the F drive, my music (MP3) mapped to the M drive and the TV shows mapped to the T drive. On my Linux installs which I use more than the Windows install I was having the issue that Plex would only see local files on the PC not the NAS files. To map the drive on Linux you use the mount command to "attach" the NAS shares to a folder/location on the local PC. This should mount the NAS share to /mnt/nas and if you go to /mnt/nas you should be able to see the folders/files there now. Now it is a bit of a pain to remember to do this all the time so you can automate it by adding an entry to the fstab file (/etc/fstab), this file mounts all the relevant filesystems on boot. Rather than put username and password details directly in fstab it is a good idea to put these into another file so you can change permissions to restrict who can view the details. You should now be able to browse to /mnt/nas and see the files on the nas as if they were local. You can now add any media folders to Plex*. * Will probably help with other programs as well. I managed to get myself a new PC through work at a great price, specs are HP Desktop Mini Tower, Quad Core Intel Core i5-6500 Skylake processor, 1 TB HDD 8GB RAM. This is a great PC especially since my last desktop was a single core 32 bit with 3GB RAM which worked not too bad with Slackware 12 but seemed to struggle with later Slackwares. I am planning on upgrading to 16GB RAM (can take 32GB) and possible installing a better graphics card as i would like to play more games. Anyway the old PC got left sitting under a desk when I got hold of a second hand Dell Vostro laptop (Core 2 Duo 4GB RAM) which I have been using as my primary machine for a couple of years dual booting Windows 10 and Debian 8* and with an upgrade to an SSD it is a good fast machine for what I need (upgradable to 16GB RAM as well but that is quite expensive). The new PC came with Windows 10 and since I need to use Windows for work (some tools we use are Windows only) I figured I would partition the drive and dual boot again with Debian. So partitioning done and Debian 8 installed but graphics are stuck at 800x600 which is horrid, turns out that the Intel HD530 graphics are only supported in Kernel 4.3 and above, no problem I think I can compile and install a new kernel so set out to install latest 4.7 Kernel. Compile goes fine and install new kernel and boot to it, graphics still stuck on 800x600. After spending time trying to work out the issue I thought I can just reinstall using Debian testing as it has a supported kernel. I then thought I would check the kernel version in Slackware 14.2 and see it is 4.4. As I was going to reinstall using Debian testing and I already had a Slackware 14.2 install USB I decided to install Slackware. Install goes fine and boots first time and resolution is fixed. Next issue is EFI so had to install rEFInd to get back option to dual boot. So I now have a nice new shiny install of Slackware 14.2 running XFCE and it feels like I am back where I should be. I have used Slackware from version 8 right through to version 13 so it is my Favourite Distro. Installing is a bit more involved than other distros although these days it is just select to do a full install and let it run. I always preferred KDE to Gnome as well although on my old system I used XFCE as it was lighter on the old hardware. The main issue with Slackware is software installation. I still find that I have to manually install some programs by the .configure, make , make install process although this is better now than it used to be as there are a lot of precompiled programs available through slackpkg and other third party sites like slackbuilds. where you can download the slackpkg configs and package sources saving the hard work of finding it yourself. I like Debian and it is my second choice although if I just need a linux system up and running fast it is the primary option as it is really quick to install and configure, software install and upgrades are really easy using apt-get as well and it works really well on my laptop running MATE. The only real issue i have is the outdated versions of software in Debian stable which sometimes causes issues. * I tried installing Slackware 14.1 on the laptop but had some issues getting it to boot and run so needing linux installed I tried Debian next as it was my next distro of choice. Apart from requiring Broadcom firmware for the wireless it installed quickly and easily and I have been using it since. I am in the process of upgrading this site to the latest version of Joomla so there will not be any new posts until this is done and I have got it working as I want. Thanks for your patience. Migration is done and all articles copied over and working, still tweaking settigns behind the scenes and have created own template and am working on the look of the site. 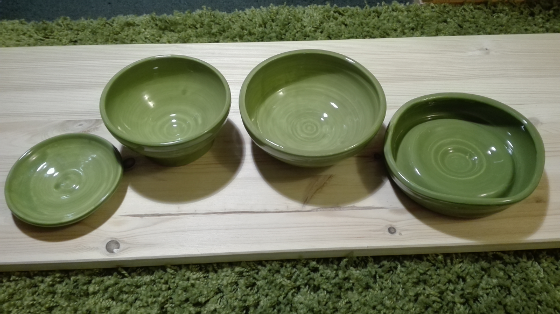 Thanks to a friend taking me along to a pottery taster session I now have four pottery items made by my own fair hands. It was great fun although the first effort ended up as recycled clay and the second one ended up as the somewhat wonky looking "dish" on the right.